Just for fun, we recently asked our staff and volunteers whether they had a least favourite object at Standen. As we’re usually waxing lyrical about our favourite objects, we thought this was a good opportunity to spark conversation and think differently about our collection. There were lots of interesting suggestions: from a garishly coloured and odd shaped vase; to a pair of stuffed birds. One definite theme was the dislike of objects that resemble animals: Standen has a number of objects that are creature-inspired, such as a standard lamp with a clawed foot, or a table with hoofed feet. 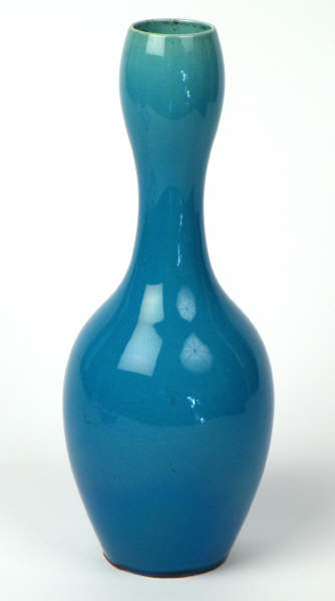 The ‘winning’ object with the most votes was this blue-glazed china container (pictured left); a style known as a grotesque. Some people said that it is unattractive and strange (I have to say I agree with them! ), but it does seem to divide opinion as there were others that commented that they thought the container was unusual and quite liked it for that reason. The container is currently displayed in the Cloakroom, and has been used in the past as an umbrella stand. It was probably produced by Burmantofts, a Leeds-based pottery which operated from the 1850s until 1957. They specialised in earthenware vases, jardineres, bowls and tiles, which were finished in brightly coloured glazes. There are several pieces of Burmantofts here at Standen – another example of this type of grotesque is the toad spoon warmer pictured right, which is currently displayed in the Billiard Room. These pieces might not be to everyone’s taste, but they certainly attract lots of attention and questions from visitors! Categories: Uncategorized | Tags: Burmantofts, ceramics, collection, Hannah, object, Objects in Focus, staff, Standen, volunteers | Permalink.